◈ In a “Storage Based” scenario – the clone/copy of the database happens at storage volume level. 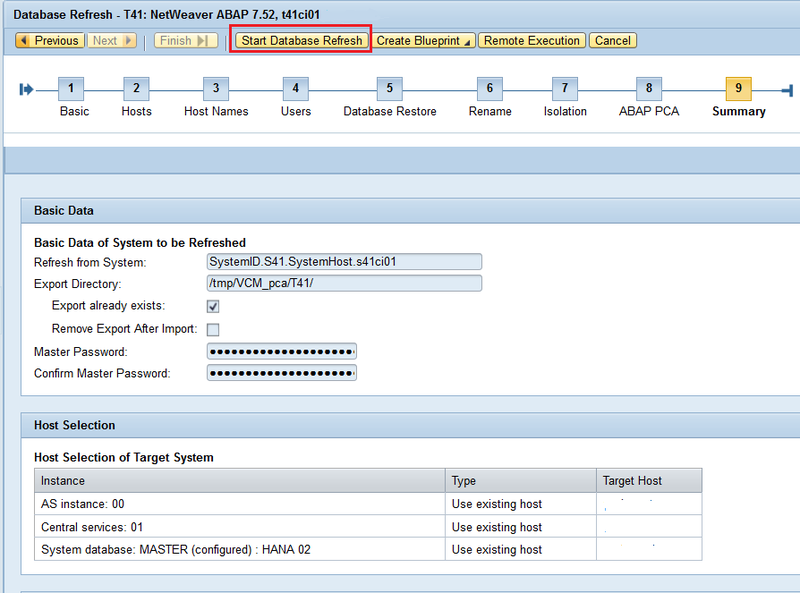 SAP Landscape Management triggers the required action in the storage system via the integrated Storage Adapter: Each of the required source volumes is copied to a target volume levering functionalities in the storage hardware. Those storage volumes are later on accessed on a new or existing host and then form the content of the database system. ◈ A “Virtualization Based” approach is possible too, but practically only for “smaller” system sizes: Then, an entire virtual machine, including the database footprint, is cloned to a new image. This cloned image gets then installed to another VM. Both “Storage Based” and “Virtualization Based” scenarios rely on specific infrastructure requirements – e.g. source and target systems need to reside within the same storage system or virtualization manager boundaries. This introduces some dependencies on the underlying IT infrastructure. 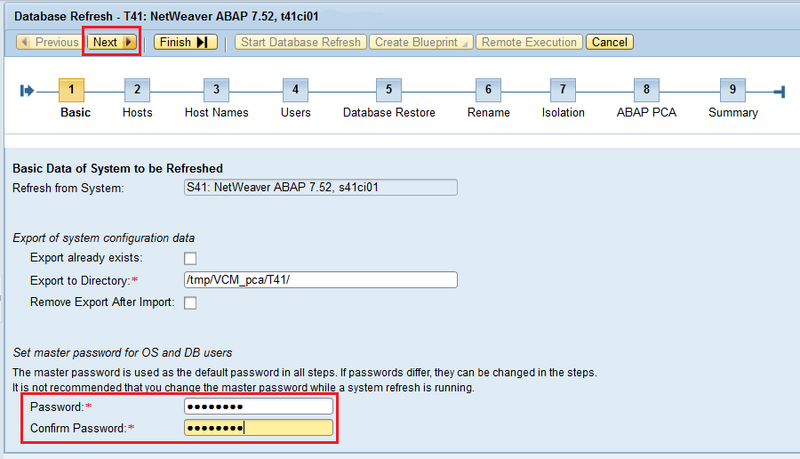 integrated functionality to refresh the content using a database backup. This removes the dependencies on the underlying infrastructure, and provides the functionality even in case that there is no “Storage Adapter” available for the storage system in scope. 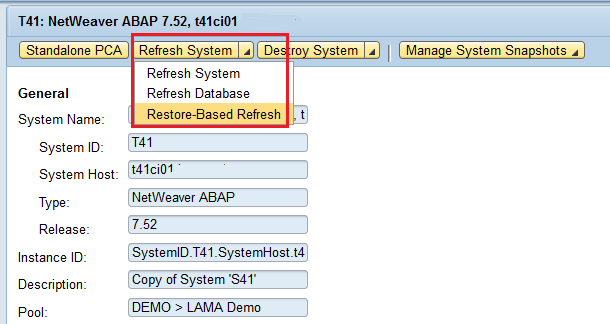 This text gives a short overview about the required steps for the required configuration settings within SAP Landscape Management (and the LINUX operating system) to execute such an “Restore-based Refresh” for a SAP HANA database. ◈ The infrastructure assignment defining all the infrastructure components needs to be completed: network definitions, user management methods, eventually name server update and proxy settings are defined. In addition, the source system needs to be enabled for the Refresh Scenario. and ensure that the required RFC users for Post-Copy Automation are created on the source- and target system and are defined in the SAP Landscape Management System configuration. The “Restore-based Refresh” requires a complete data backup of the source system. The data backup needs to be stored on a central filesystem, which then will be mounted on the target during the process. 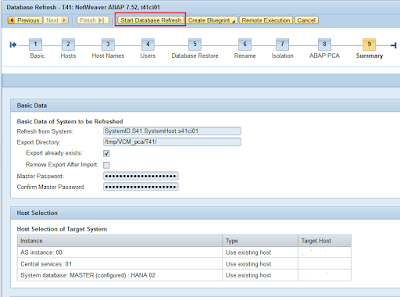 For simplicity, I’ve used a local filesystem on the source system for the SAP HANA backup share, and exported it via NFS to the target system – the SAP HANA backup share could also be stored on a NFS/NAS server and then get mounted to both source and target system. This “SAP HANA Backup Share” gets defined in the system configuration of the source system (in the tab “Provisioning & RFC”, section “Transfer Mount Configuration for System Provisioning”) within SAP Landscape Mangement: During the restore-based refresh SAP LaMa will then ensure that the share is mounted on the target system and so the SAP HANA backup image can be accessed for the restore. The mount options specify who the share shall be mounted on the target system during the process – “read only (ro)” is sufficient, unless you want to use the share also for storing backups of the target system. 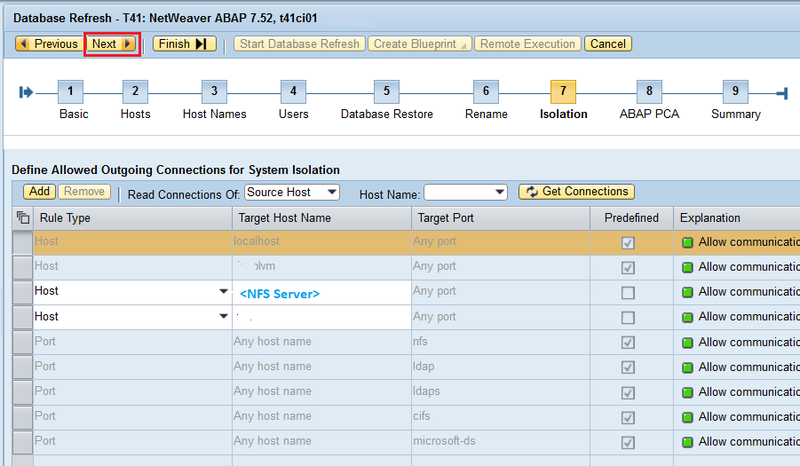 In case of a “local” NFS server on the source system, add the HDB Backup Share to the NFS server export table. In the LINUX operating system, the file /etc/exports contains the table of local physical file systems on an NFS server that shall be made accessible to NFS clients. Ensure that the NFS services are started. 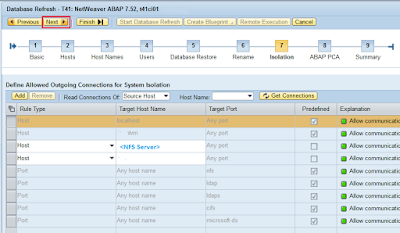 With the “exportfs” command, you can verify the NFS export on the source system. 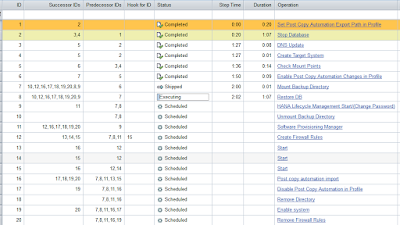 The roadmap for entering all the required parameters will start. 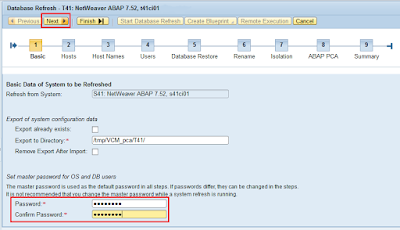 – which will be used as default password for all the next steps. The Host Names tab appears. The (OS) Users tab appears. Due to the refresh, also the OS users should be already existing. Press Next. 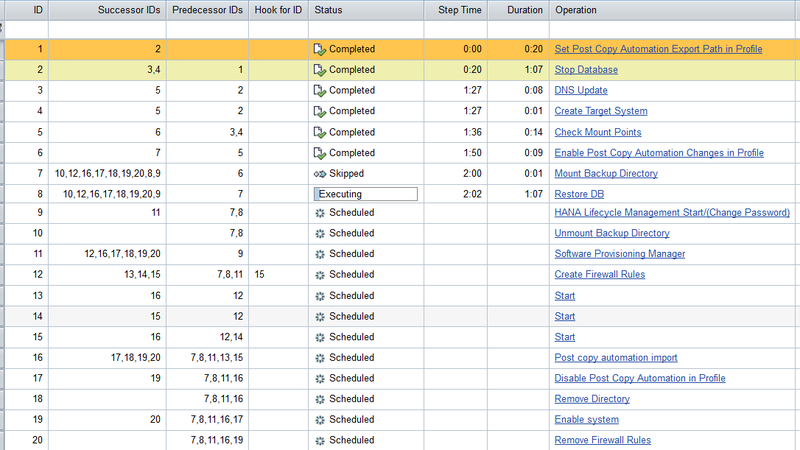 Now, the selection tab for the Database Restore appears.